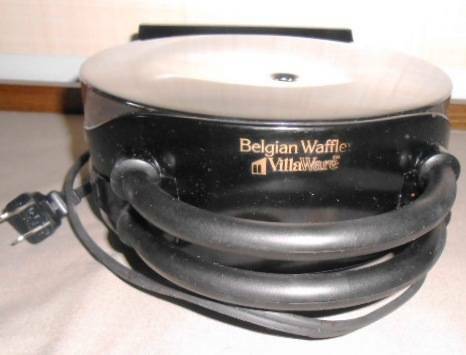 BELGIAN WAFFLE MAKER by VillaWare: Model 3200. CHROME & BLACK. Make 7" dia. 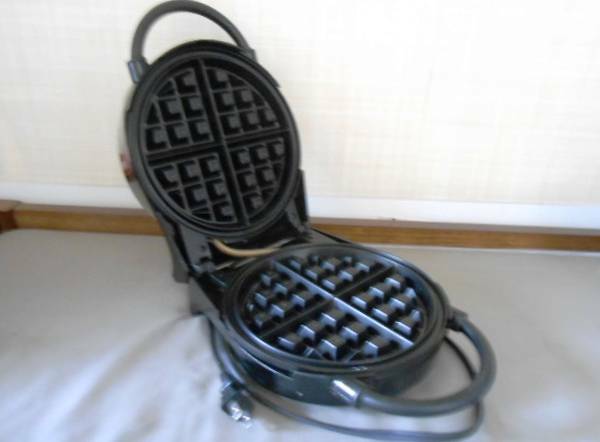 Belgian Waffles in your own kitchen. 8w x 11d x 4"h. Stir-up your FAV batter: Blueberry, Banana, Choc-chip &/or Gluten-Free. Heats in minutes & ready to make a "stack-for-the-family". $16. DRINK MIXER: "VINTAGE / RETRO-STYLE" by Hamilton Beech: Make SMOOTHIES, FRAPPES, MALTS or MILKSHAKES. 2-Speed motor with Large Stainless Steel Mixing Cup. Model 750 BCH: 7 x 5 footprint & 14.5" tall. Tilt power-head to slide cup into place. Mixer shaft removes for washing. Chrome & Black finish. $21. 'PERFECT POD' Coffee Pod Maker $14. CASH ONLY IN PERSON @ PICK-UP. CALL show contact info (non text) 7 DAYS or EARLY Evenings (B4 8pm please). Please lve a msg if we MISS when I may be "Out-N-About" with errands, yardwork or playing in/on the LAKE. I WILL RESPOND, THANKS.